Given that Michael Gove is reported as leading the charge against Minimum Unit Pricing for alcohol I thought it may be helpful to point to his views (see page 21) on the use of evidence for developing policy. it is outside my bailiwick, but there was a discussion in the last Parliament between Alan Johnson and Professor Nutt about drugs policy. The professor said, “This is the evidence for the effect of drugs”, and Alan Johnson said, “That is fine. I am the politician, I am responsible. I have taken account of it, but I take a different view.” I think it is possible to do that. On the whole I prefer to rely on the evidence. With thanks to my Mentor colleague Liam for pointing me at the quote. In many ways the Foreign Secretary, William Hague, is a very good role model, but it seems that for some students the lesson they’ve taken to heart is his self reported binge drinking, with York University Conservatives saying there will be medals for those students able to drink the full 14 pints. I’m sure that Hague’s influence on student drinking culture is being over-exaggerated in these stories, and that were Hague not to have inspired this particular drinking game that others would not be played. But it did set me thinking about whether there’s a broader point as highlighted by the research reported in the Daily Telegraph recently that suggested that adults when asked about drug use by their children should not necessarily be open about it. Perhaps when asked about these things by the media it would be wiser, all round, for politicians and celebrities to draw a veil over their own excesses. Nick Clegg has responded to the Home Affairs Select Committee report on drug policy, sharply disagreeing with David Cameron about the need to consider reform. As we said when Ken Clarke made very similar points what these statistics miss is the historical context, and oddly they are also slightly out of date. 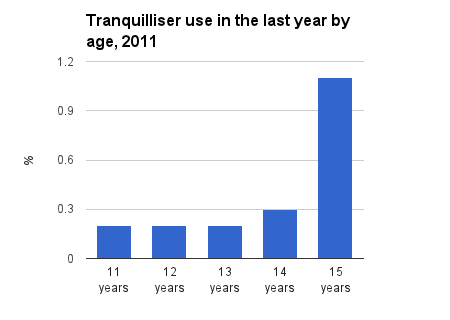 Around one in six (17 per cent) 11 to 15-year-olds surveyed in 2011 said they had ever taken drugs. This compares to 2001, when 29 per cent of pupils in the same age range reported that they had. There were 1,883 notifications of drug-related deaths occurring in 2010 in the UK and Islands. This represents a decrease of 299 (13.7%) over the same reporting period in 2009. That said our position compared to other European countries is dire as you’ll see from the following presentation. 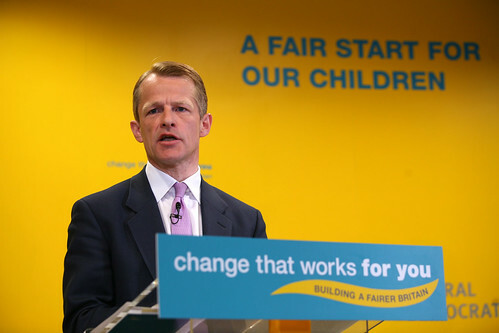 Election 2010 Day 16 – Nick Clegg & David Laws launch ‘A Fair start for Children’, a photo by Liberal Democrats on Flickr. David Laws has just been reappointed to the government as a Minister for Children and Families. At the end of the last parliament in 2010 he was interviewed by some young people from the National Deaf Children’s Society. One of the problems, again, is that quite often in the past this area of the curriculum, the life skills area, is one where the teachers haven’t always been very well trained for it. The quality of the education is sometimes not as good in some schools as it should be, and it’s often thought of as being a bit of a kind of low priority for the school partly because you often don’t set an exam in it so people think it’s less important. But actually a lot of the things that we learn through life skill classes can be incredibly important and can lead to a big benefit in people’s lives, I think.